There are plenty of balloons scattered across the map. A new set of Fortnite challenges became available today in the popular battle royale game—and some of them seem pretty difficult. One of the premium Battle Pass challenges for season seven, week nine asks players to “pop 10 golden balloons.” While this may sound relatively easy, it could be somewhat time consuming to locate all of these balloons. Luckily for you, we’ve put together a map that shows the location of 20 golden balloons that Fortnite fans have found so far. 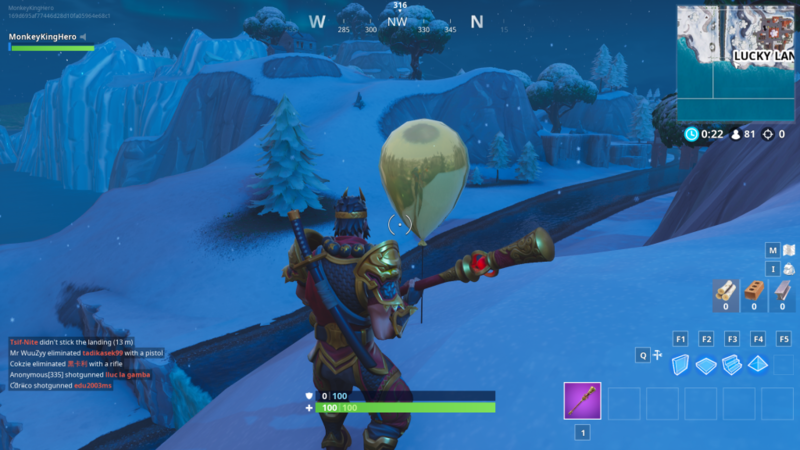 Once you find one of these golden balloons, all you have to do is shoot it or hit it with your pickaxe in order to pop it. 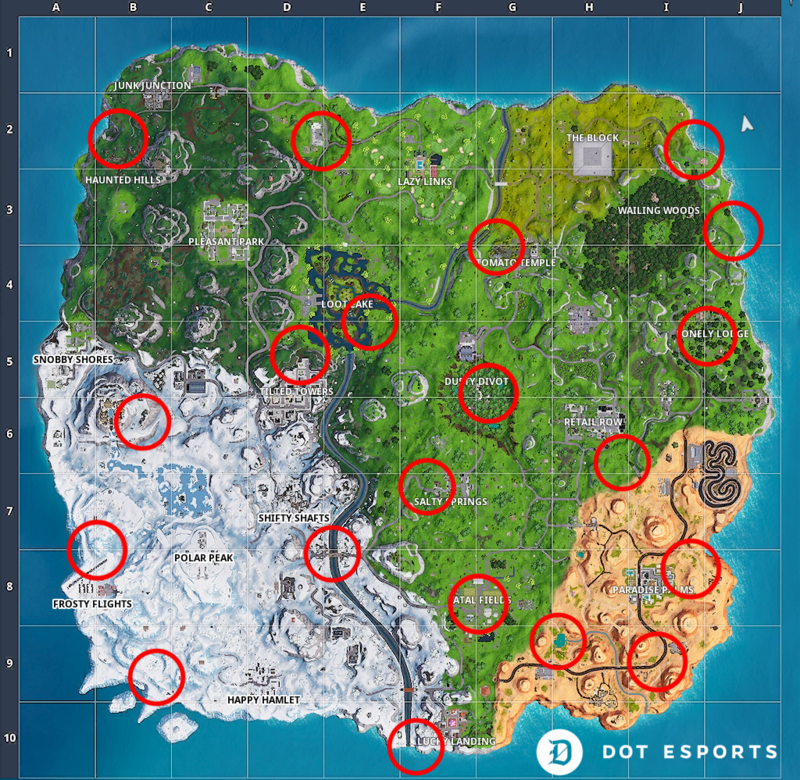 Here are some of the specific locations for golden balloons that we’ve found so far. This golden balloon can be found on the edge of the mountain east of Viking Village. 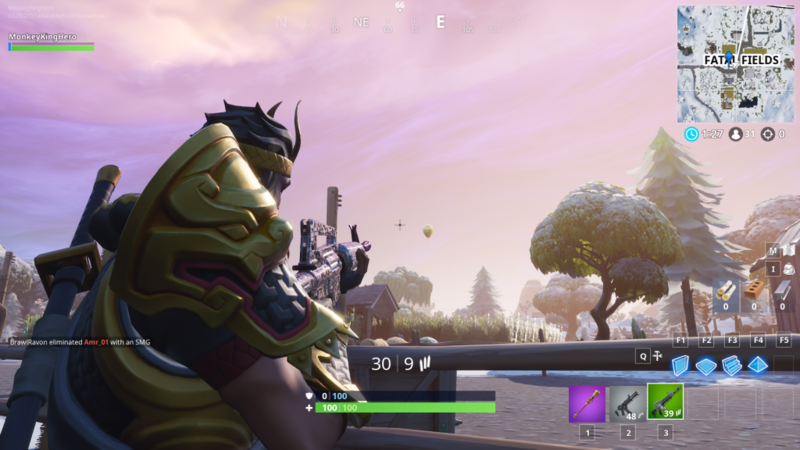 Another golden balloon can be found on a bench in the northwest corner of Salty Springs. 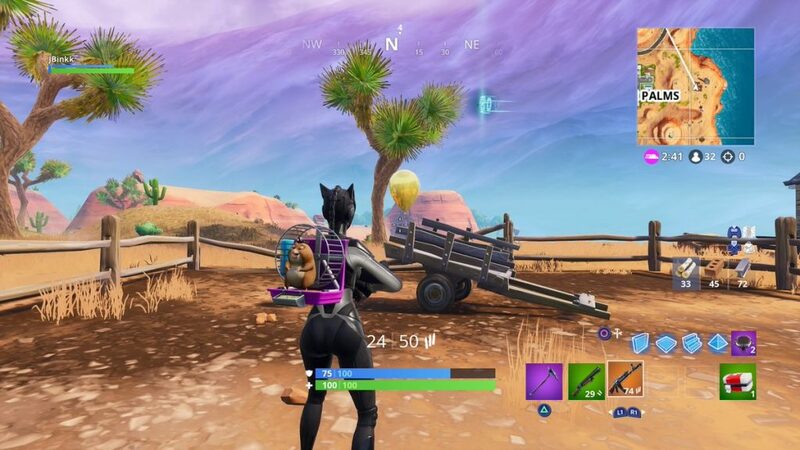 There are several golden balloons that can be found in the desert area of the map. This one is near the small pond southwest of the Paradise Palms city and southeast of Fatal Fields. 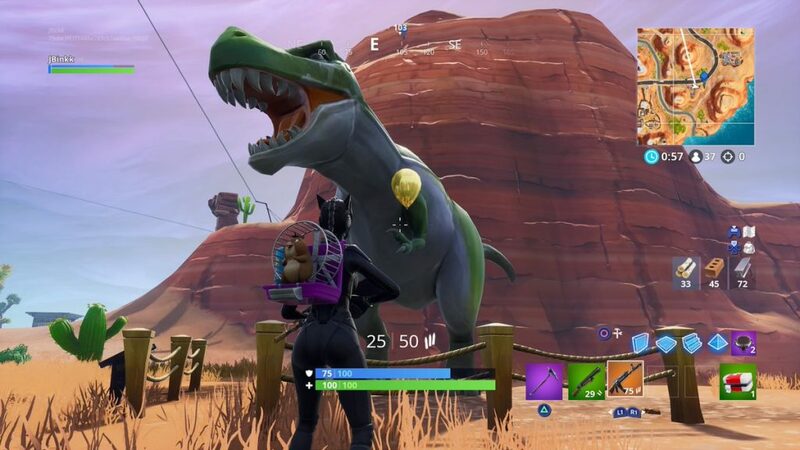 Another golden balloon can be found in the hand of the Tyrannosaurus Rex south of Paradise Palms. 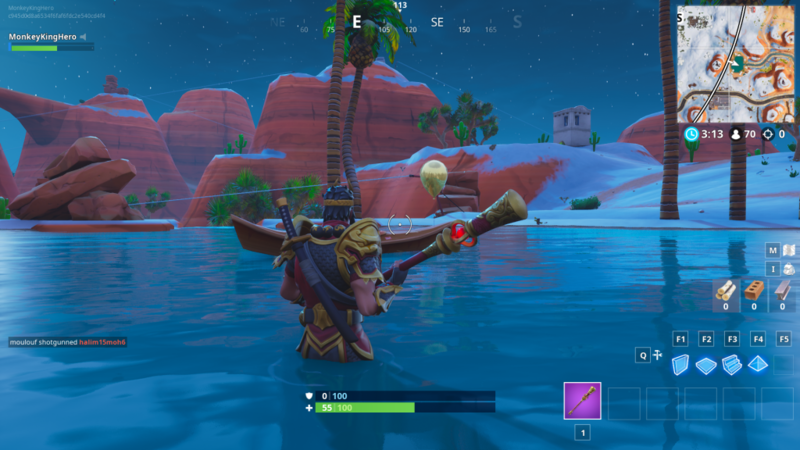 Finally, a third golden balloon is located in the area east of Paradise Palms. 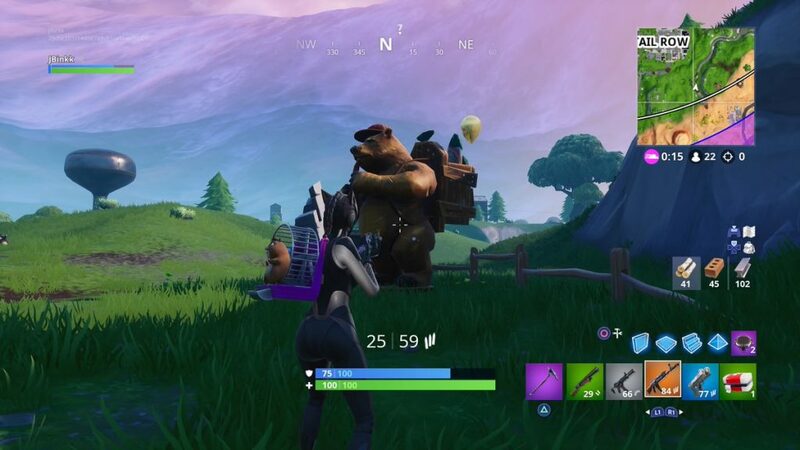 This golden balloon is on the back of the bear statue southeast of Retail Row. 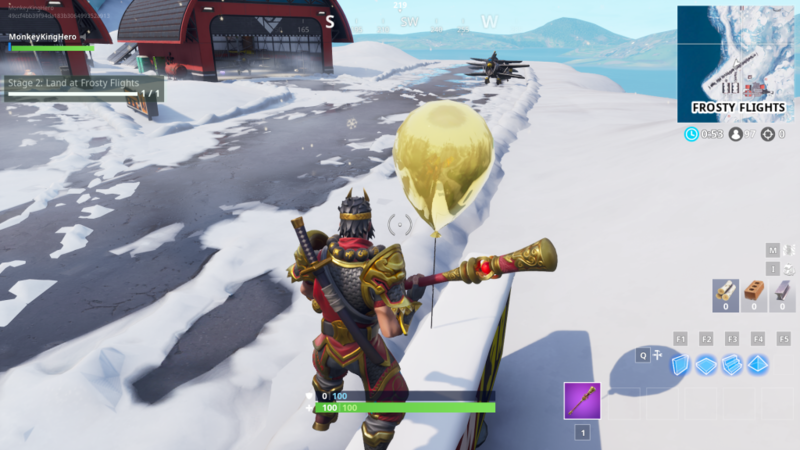 Another golden balloon can be found in Frosty Flights, near the runway in front of the two hangars. 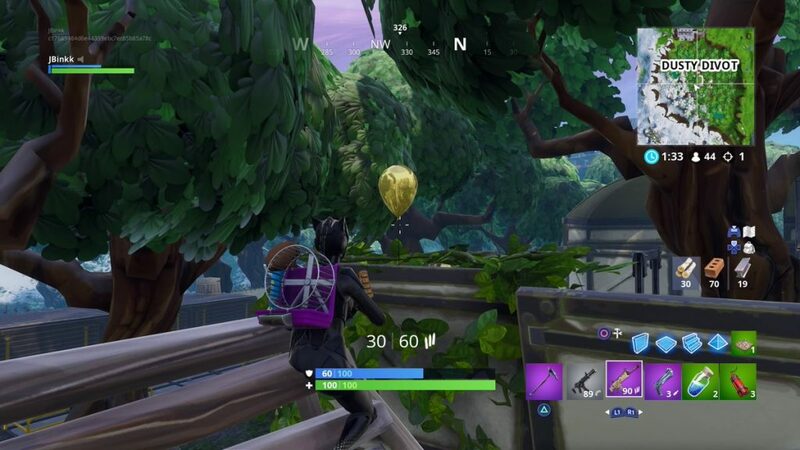 This golden balloon is located on the roof of the building on the west side of Haunted Hills. Another golden balloon can be found on a hill southwest of Lucky Landing. 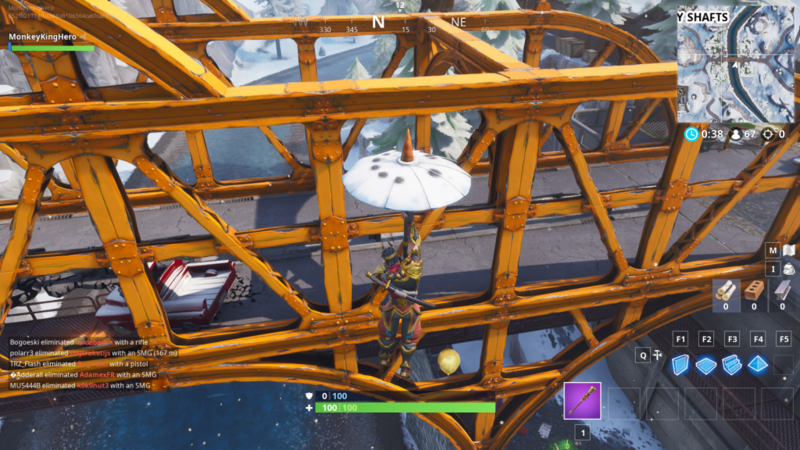 This golden balloon is under the bridge southeast of Shifty Shafts. 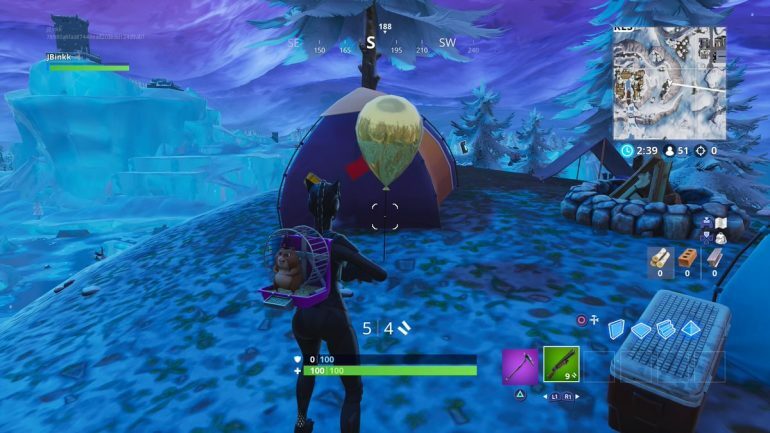 Another golden balloon can be found in the middle of Fatal Fields. 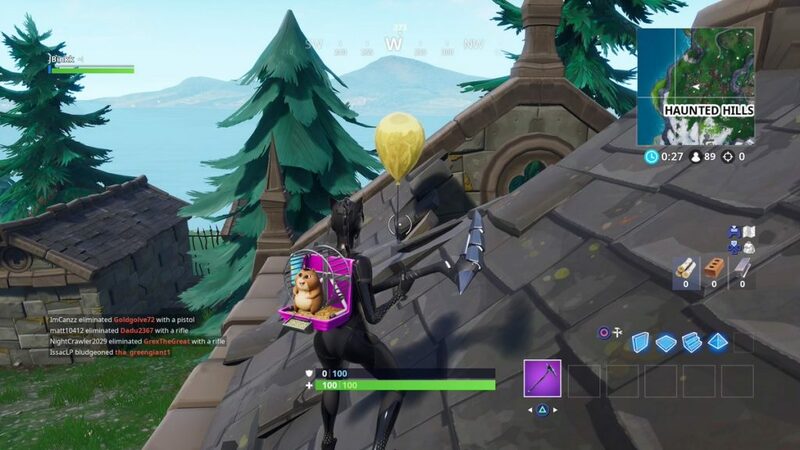 This golden balloon is located on one of the buildings in the southern portion of Lonely Lodge. 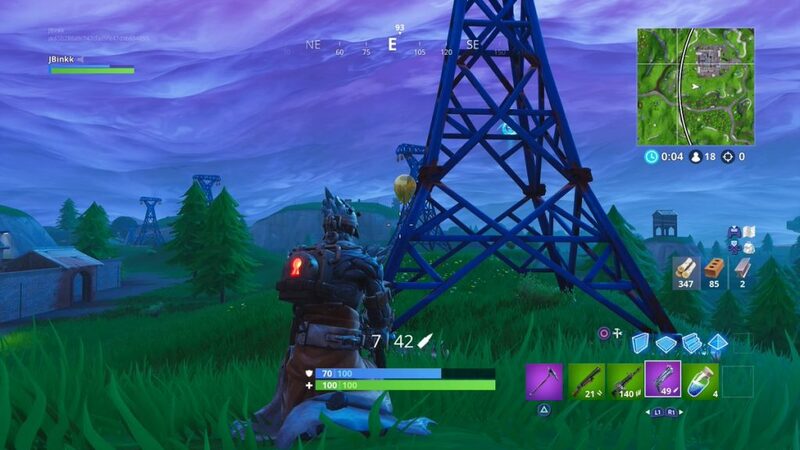 Another golden balloon can be found on top of one of the metallic buildings in Dusty Divot. This golden balloon is on one of the electric towers south of the area known as Containers.